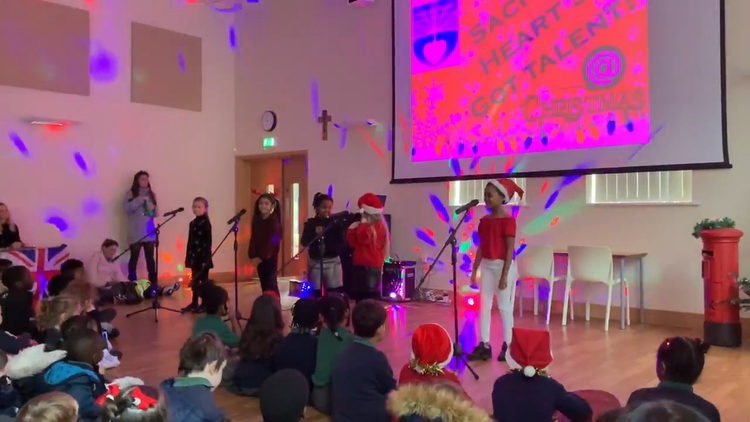 Sacred Heart's Got Talent showcases some of the amazing talent we have in our school! 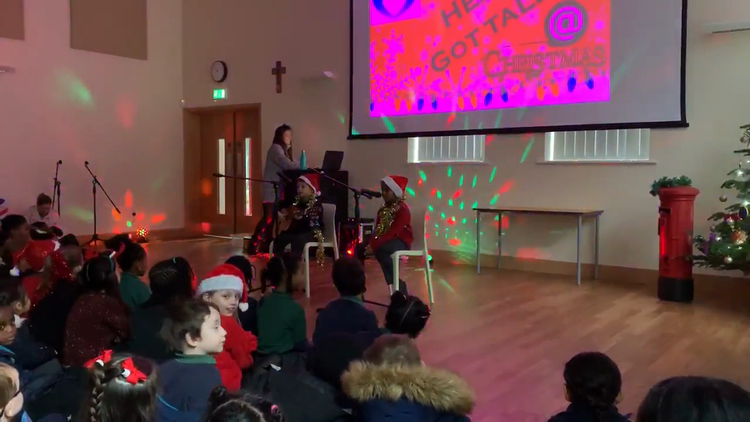 Children audition in front of their class and are voted into the second round. 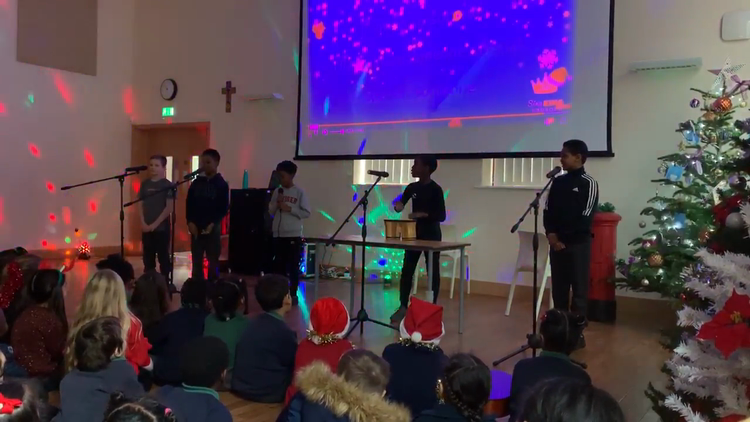 In the second round children perform with the winner of their parallel class and the overall winner is chosen to perform in front of the whole school at the LIVE FINALS! 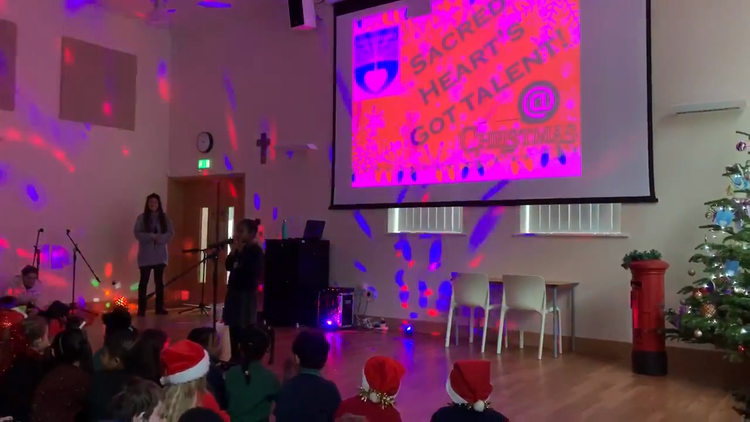 Keep an eye out for details on the next Sacred Heart's Got Talent! 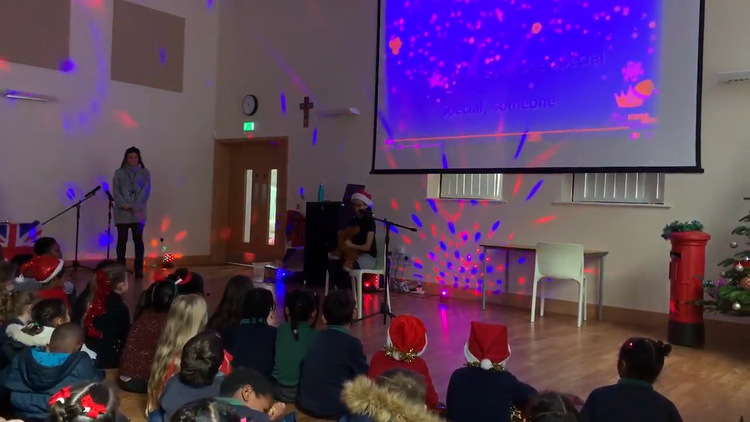 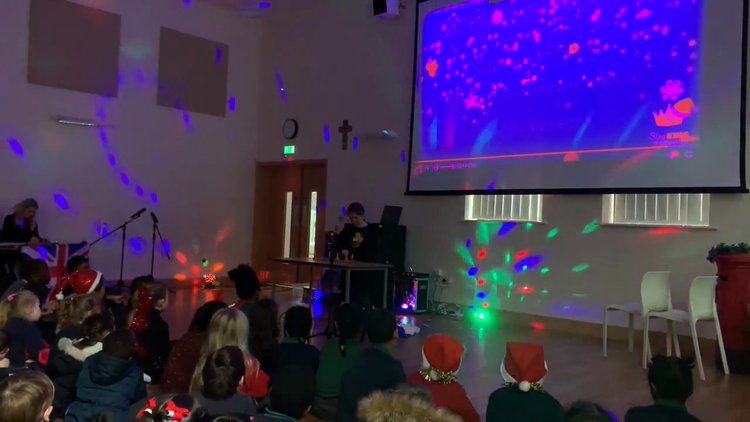 Congratulations to Maria in Year 4 who won with her performance of Jingle Bells using 5 different bells and also to our Rapping group from Year 5 who performed their very own rap about the story of Jesus Christ at Christmas!